Sometimes the past enduresand sometimes it never lets go. This best-selling debut by an award-winning writer is both an eerie contemporary ghost story and a dread-inducing psychological thriller. Maggie is a successful young artist who has had bad luck with men. Her last put her in the hospital and, after she’s healed physically, left her needing to get out of London to heal mentally and find a place of quiet that will restore her creative spirit. 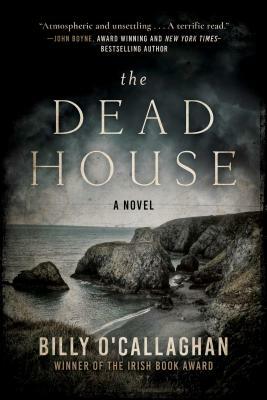 On the rugged west coast of Ireland, perched on a wild cliff side, she spies the shell of a cottage that dates back to Great Famine and decides to buy it. When work on the house is done, she invites her dealer to come for the weekend to celebrate along with a couple of women friends, one of whom will become his wife. On the boozy last night, the other friend pulls out an Ouija board. What sinister thing they summon, once invited, will never go. Ireland is a country haunted by its past. In Billy O'Callaghan's hands, its terrible beauty becomes a force of inescapable horror that reaches far back in time, before the Famine, before Christianity, to a pagan place where nature and superstition are bound in an endless knot. Billy O'Callaghan is the author of several short story collections: The Things We Lose, the Things We Leave Behind which won the Irish Book Award, and In Exile and In Too Deep. He was a finalist for the 2016 COSTA Short Story Award, the Glimmer Train Prize, the Faulkner Wisdom Prize, and the Seán Ó Faoláin Award and has published his stories widely on both sides of the Atlantic. He resides in Douglas, County Cork, Ireland.